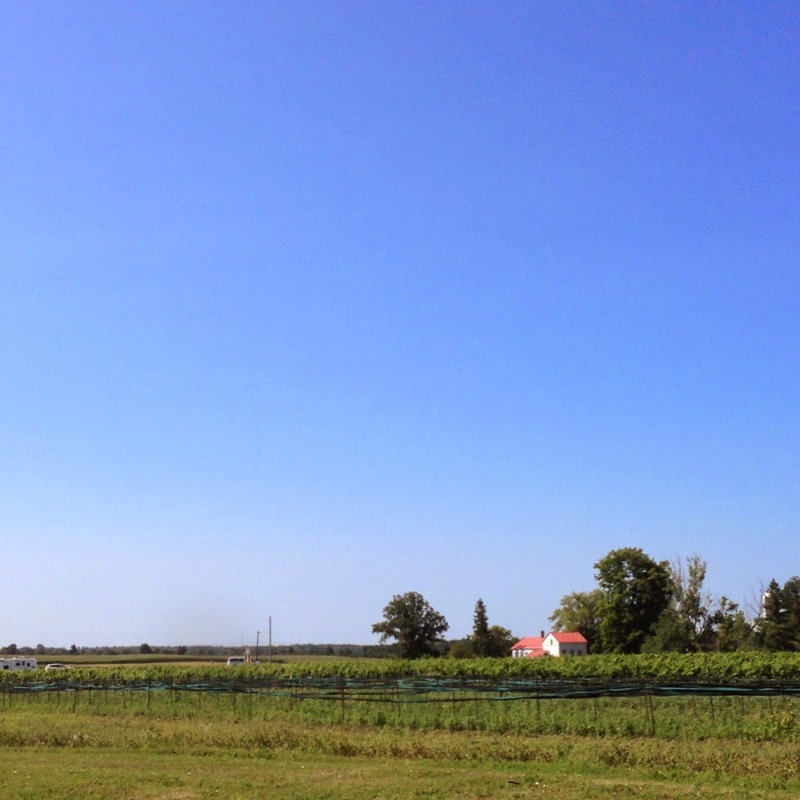 We managed to escape the city for a few days and headed out to Kingston and Prince Edward County. 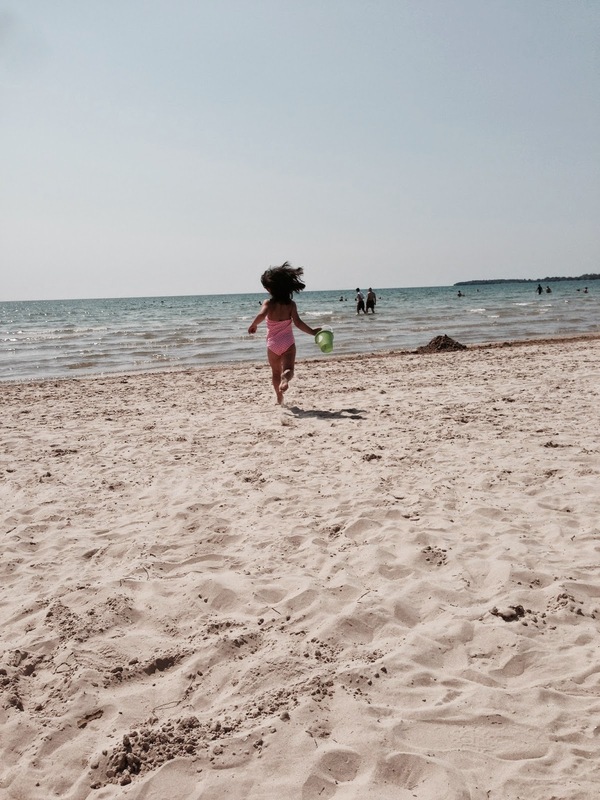 It was a summer weekend for the books, filled with sun, sand, amazing food and beautiful scenery. And since my brain is still in vacation mode, I'll leave it to my iPhone pics to show you what we were up to. 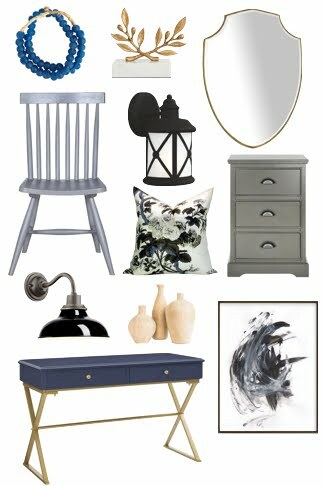 Have you been to Picton? I love the drive down long country roads, past farmer's fields and wineries. Best meal, hands down, was breakfast at Pan Chancho in Kingston. 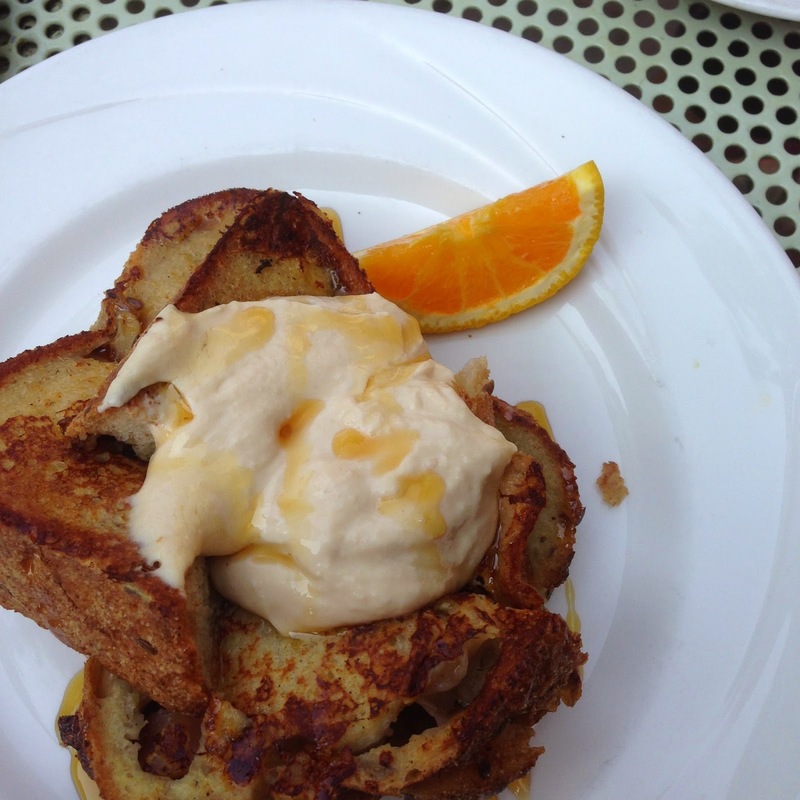 Ohmigosh, I'm still dreaming about this french toast with apple butter cream fraiche. I must find out this recipe! 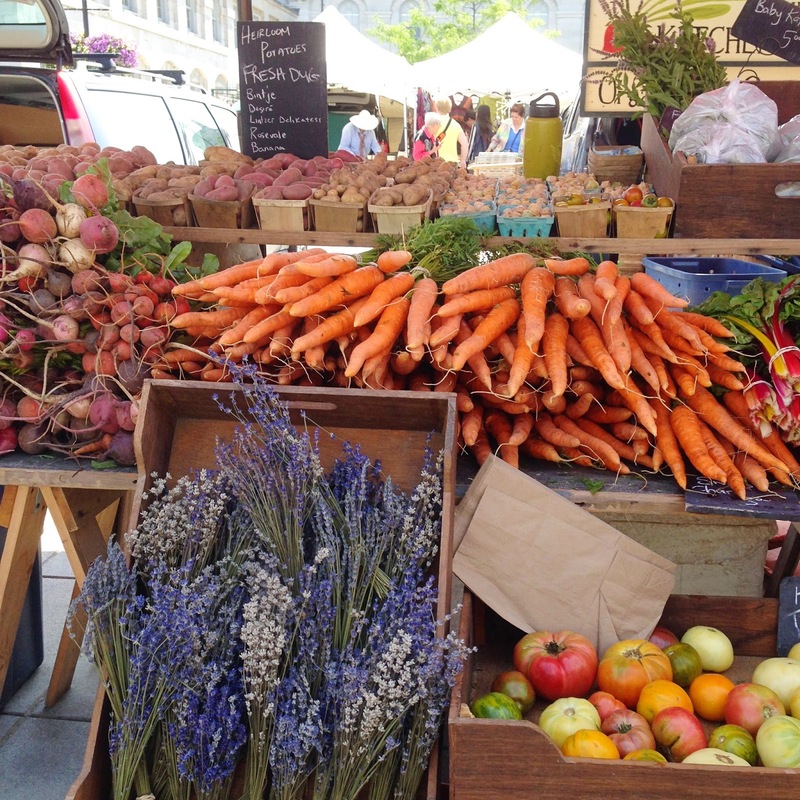 Isn't this the prettiest farmer's market? I loved the square behind Kingston City Hall. On Thursday night, they showed movies in the square (HandyMan and Chloe jumped into their pi's and watched Free Willy!) and on Saturday the square filled with the most fragrant fruits and vegetables and flowers. 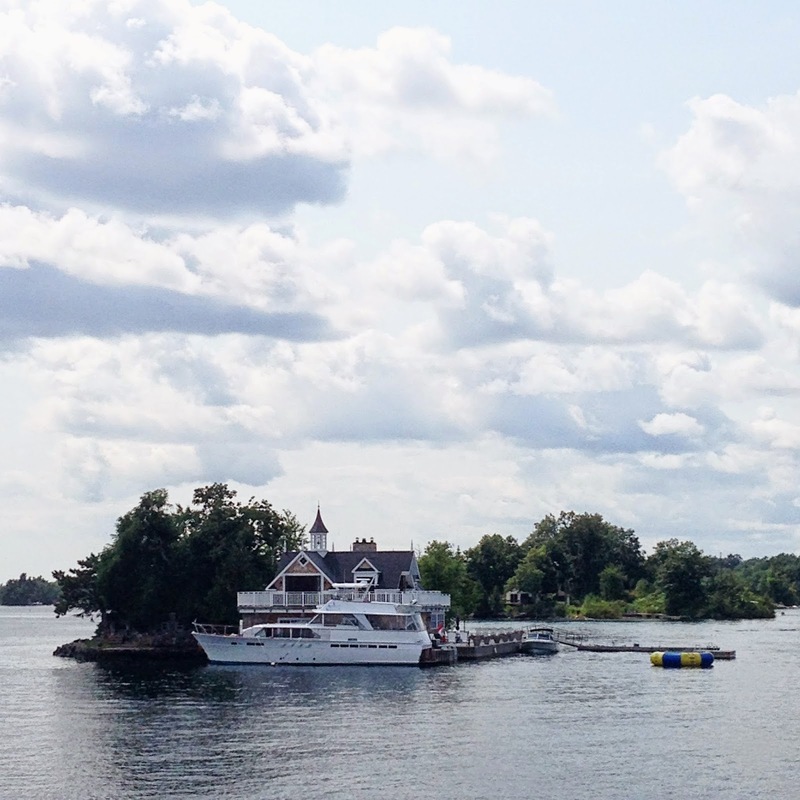 Have you been on the Thousand Islands tour? The homes aren't as grand as you might see in Muskoka but the cruise down the St. Lawrence River is a great way to spend a summer afternoon. Afterwards, we drove over to nearby Gananoque for the yummiest wood fired pizza. And then there was the beach. 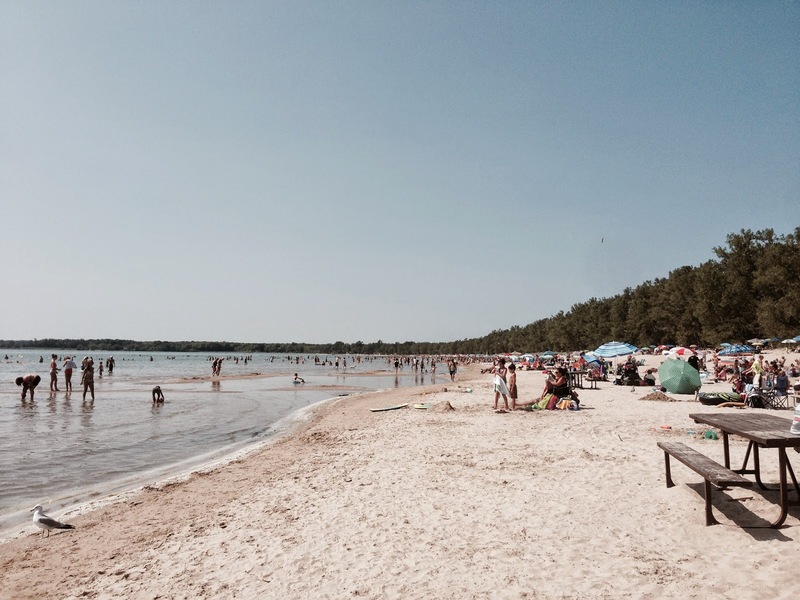 Sandbanks just might be my favourite beach in Canada. The water is calm and shallow and with three beaches to choose from, you never feel too crowded. And as luck would have it, I found the cottage of my dreams in a very intriguing cottage resort community. 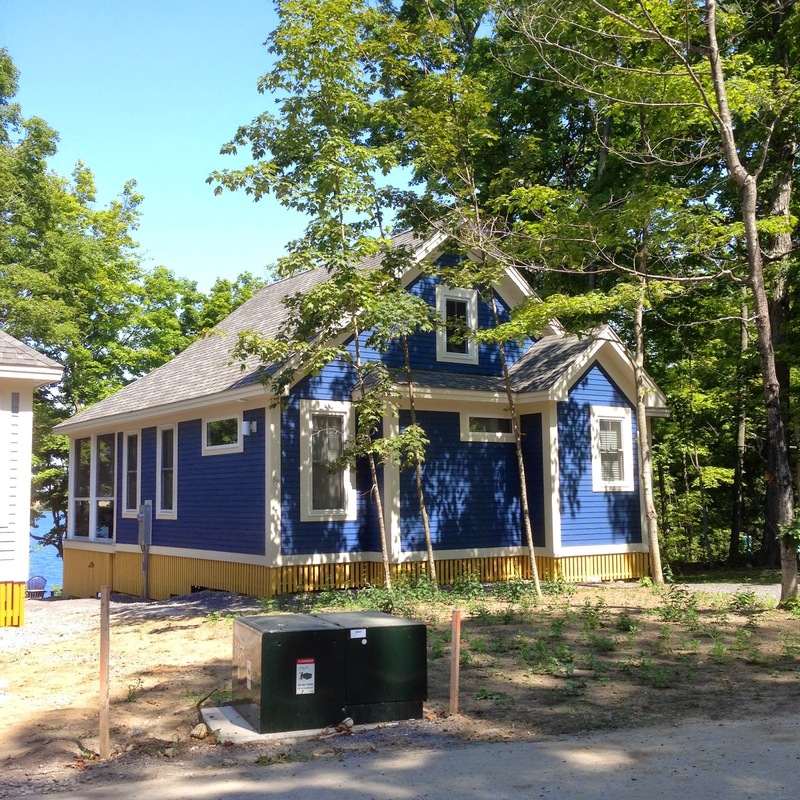 And its blue (I'm telling you - I must have a blue house!). It was good to get away. We've been to this part of the province many times but we always find something new to enjoy. I can't wait for the next vacation! Have you had any interesting travels lately?